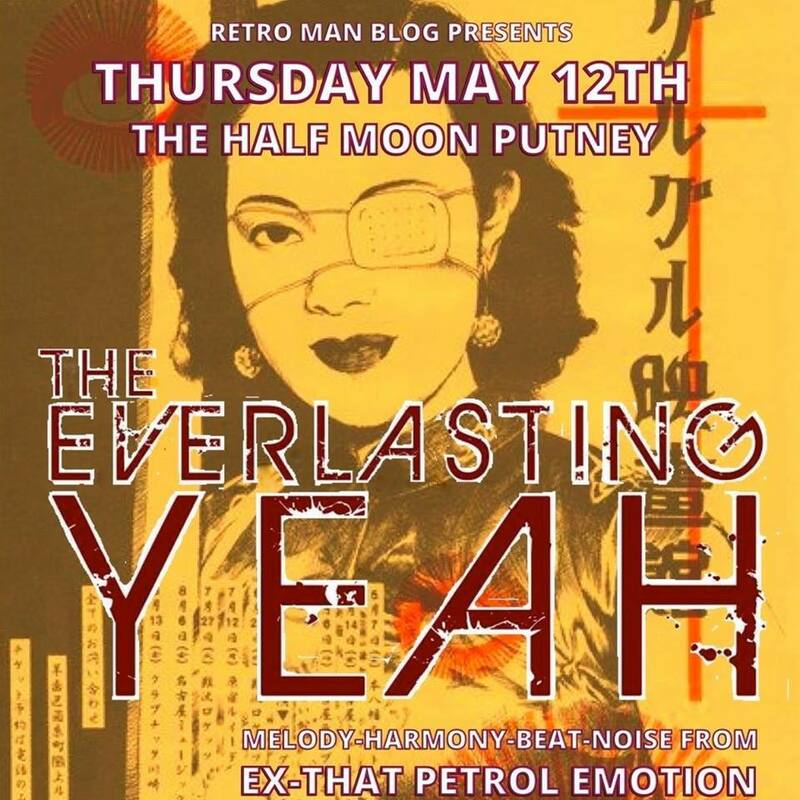 This coming week sees the latest live outing for The Everlasting Yeah, at Putney’s Half Moon. 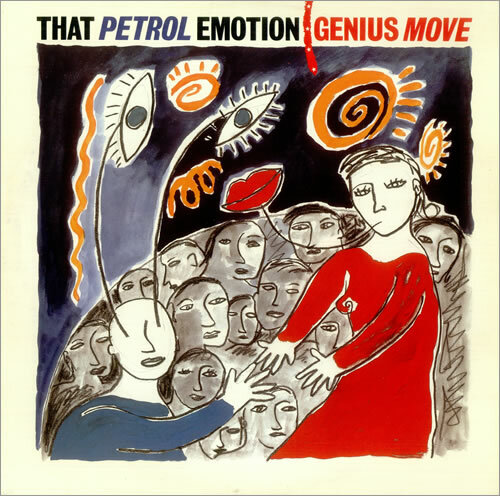 Meanwhile, this month marks the 30th anniversary of the recording of Manic Pop Thrill, the debut LP by That Petrol Emotion, the band that gave rise to the Yeah. Reason enough for a new epic writewyattuk article on both bands, with The Undertones thrown in as a bonus, starring Ciaran McLaughlin, who has featured with all three outfits. 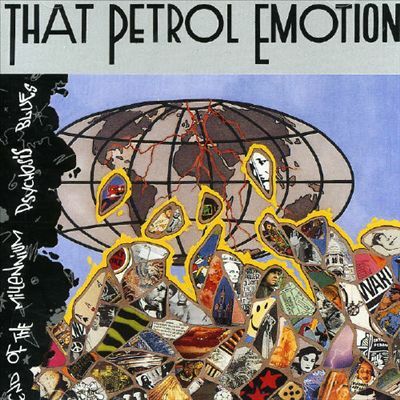 There’s a recording out there on the worldwide web from one of the landmark gigs in my life, pivotal not because it was genuinely plate-shifting in a seismic sense but as it was the first time That Petrol Emotion made their way on to my old patch. It was recorded in November 1985 at the very first Buzz Club, at that stage based at The Agincourt, Camberley, this punter already buzzing about the London-Irish headliners, having first caught them five months earlier in the capital, avidly following their progress since via the NME gig guide and word of mouth around town. 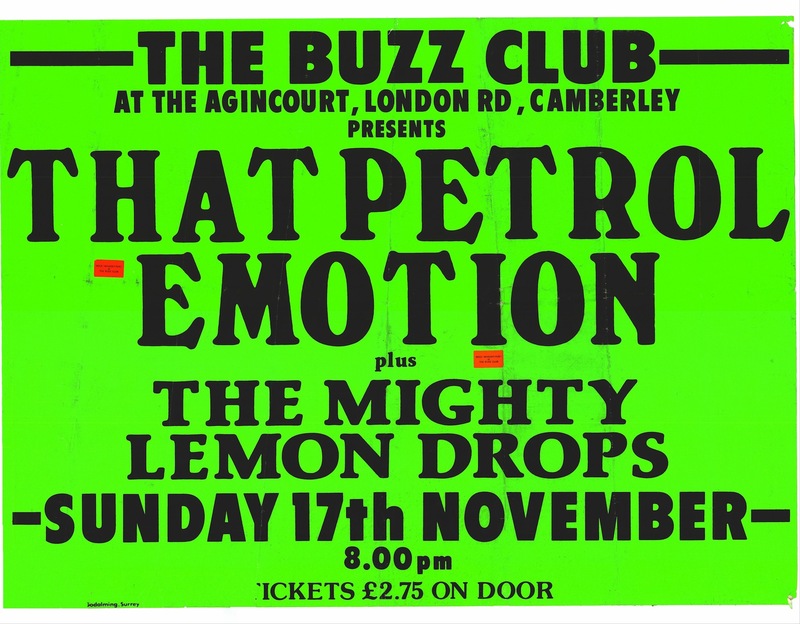 I soon got to love the support too, Wolverhampton’s Mighty Lemon Drops, and this was also something of a landmark in the sense that your scribe – newly-turned 18 – soon became a Buzz Club regular as this happening moved across the Surrey/Hampshire border to Aldershot’s West End Centre. But that’s another story. Instead, let’s concentrate on that recording (with a link here). It’s only one song, a single, It’s a Good Thing, but takes me right back, not least hearing lead singer Steve Mack’s introductory banter. I can’t imagine for one moment I believed the chirpy American frontman at the time. 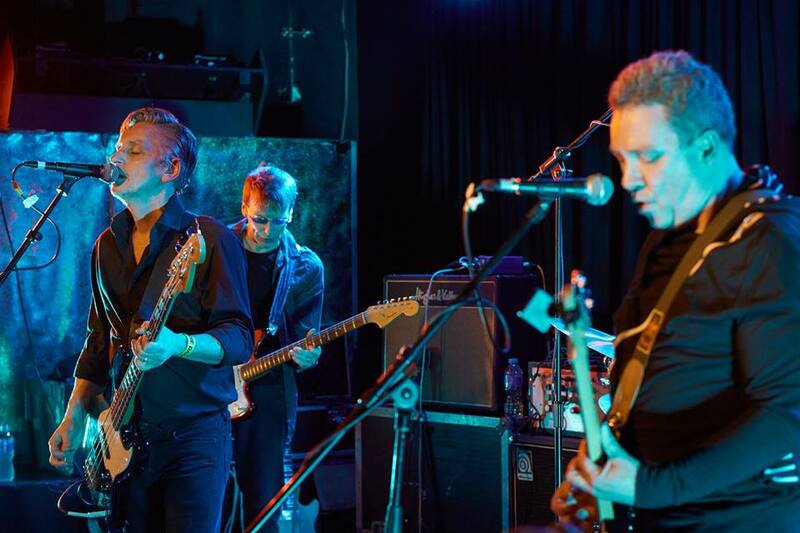 This wasn’t so much the final TPE gig as maybe the last of their first year together, and it would be eight and a half years before emotional farewells in Clapham and Dublin spelled the end, as documented on impressive swansong album Final Flame. But I’m getting ahead of myself, for when I recently spoke to Ciaran McLaughlin, singing-drummer and songwriter extraordinaire of The Everlasting Yeah and That Petrol Emotion, we started with a little geographic trip down Memory Lane, by way of my Guildford roots and talk of a town a mere 12 miles to the North West as the crow flies, best known for Graham Parker, The Members and … erm … Bros.
That’ll be friend of this blog Jo Bartlett, whose Go! Service supported the Petrols upstairs at The Enterprise, Chalk Farm, in the summer of ’85 (my second-ever TPE gig), then of Bluetrain, Here Comes Jordan, It’s Jo & Danny, and most recently Kodiak Island, the co-creator of the Green Man Festival in South Wales and a singer-songwriter of some note. Speaking of the Buzz Club, I missed it but understand the Petrols played the very last one in March 1993, supported by Molly Half Head. That old ‘all the towns roll into one’ scenario. To quote the 1969 coach-trip film, If it’s Tuesday, This Must be Belgium. As regular readers here will know, the first time I saw the Petrols was in June 1985 at the Pindar of Wakefield, King’s Cross, the night my brother made drunken small talk with a passing Andy Kershaw as he left. “We did a live broadcast on his Saturday afternoon show on the old Radio 1 which went out live, as opposed to a recorded Peel session. We were really nervous. I think he was in Broadcasting House while we were in the Maida Vale studio. I’m not sure if anyone recorded it. I know we didn’t. Of course, we recently lost Stump’s lead singer, the wonderfully-eccentric Mick Lynch. I’d had this conversation with fellow Everlasting Yeah pair Damian O’Neill and Raymond Gorman, but let Ciaran know we mostly kept it to respectful nods, foolishly thinking it best to keep our heroes at arm’s length. Wrong really, but there you go. Ciaran mentioned supporting The Long Ryders in Guildford, and that’s where I interviewed TPE and Undertones legend John O’Neill for my fanzine, Captains Log, backstage at the Civic Hall on 1988’s End of the Millennium Psychosis Blues tour, one of John’s last shows before returning to Derry. Raymond was missing at the time, not in a good place health-wise by all accounts. As it turns out, nor were band relations. That wasn’t the impression I got at the time. 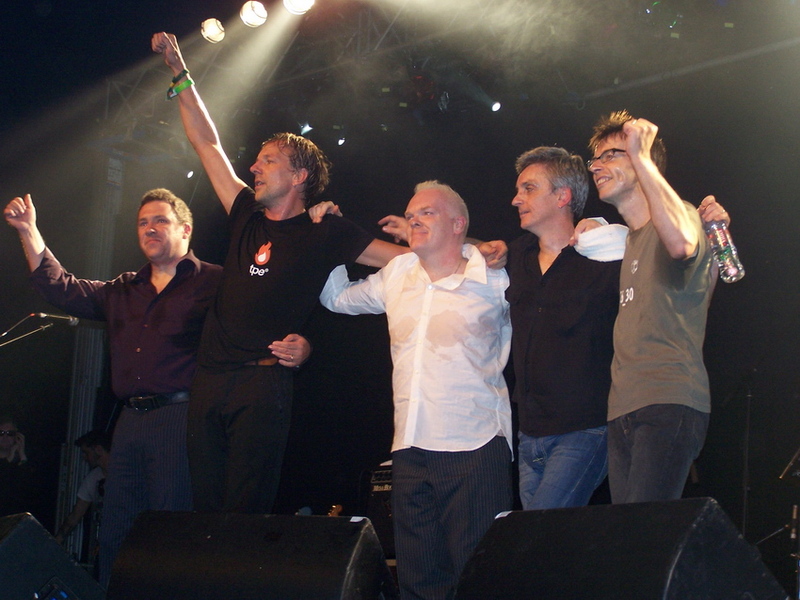 John – Damian’s brother – seemed optimistic, suggesting that while he was leaving, the band was in good hands, not least with Ciaran making an impact as a songwriter. Despite all that, I love that Roli Mosiman-produced third album, not least the mix of styles – there were plenty of John’s songs, but a few by the others too, including Ciaran. The more dance-oriented material was coming through too, like Groove Check and Here It Is … Take It! And there was the Ciaran-penned single Genius Move before that. Maybe, but I happen to like all over the place sometimes. I get the impression from past interviews and conversations that Ciaran took it worst out of the band when it ended. I know where you’re coming from, but in the scheme of things it was more or less a decade, the whole journey, and The Beatles barely lasted that. It was a reasonable stint. “I know, but just felt we had a lot more to offer. We actually thought when Brendan (Kelly) joined the band that we were playing better than ever. We just couldn’t understand it. It seemed the more we put in, the less we were getting out of it at that stage. And when it actually came to it… yeah, I was pretty bitter about it all really. I’d taken my eye off the ball by then, moving away to Lancashire around then. It’s only listening back now that I realise how good those last two albums were. But soon the world was going mad for BritPop, and you weren’t seen as part of that – victims of timing maybe. Ciaran’s keen to draw a line there, but I’m not quite done and bring up the related subject of peer recognition. I recall reading how Paul Weller loved Blur’s Modern Life is Rubbish and how that made me listen closer to them. 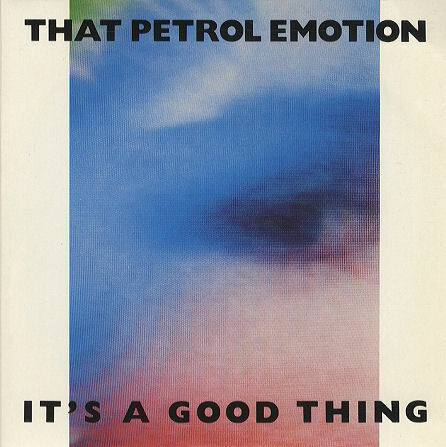 Maybe if Damon Albarn had similarly remarked on That Petrol Emotion as an influence, that may have helped attract a new audience. We leave it there, instead talking about Camberwell-based Ciaran’s arrival from Derry in 1984. I laugh there. It seems like every interview I do regarding TPE or The Undertones drifts to Eleven at some point. Everyone seems to want to wash their hands of them. 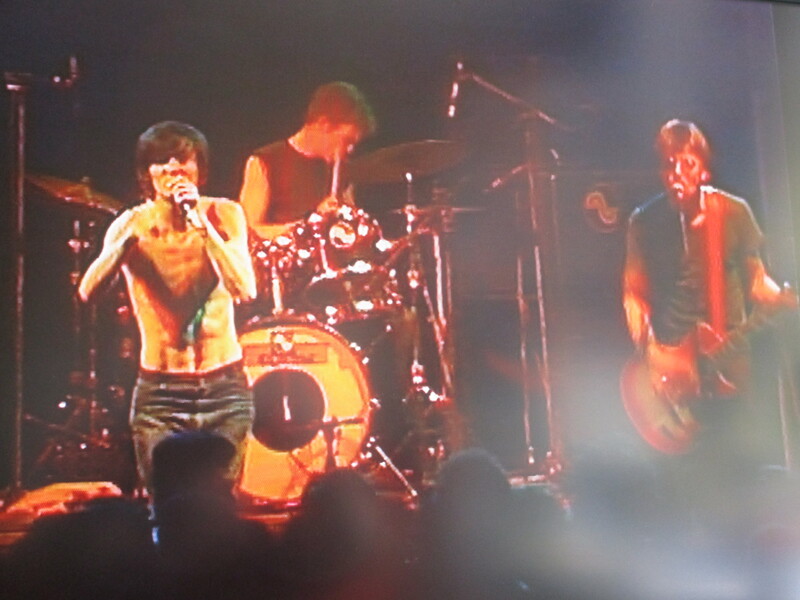 But I liked them, having seen them at The Marquee a couple of times that summer and enjoying their Peel session. That’s as good a time as any to mention Ciaran’s illustrious past in The Undertones. You knew that, right? 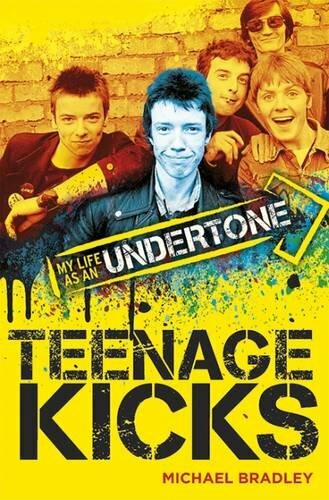 In fact, he features in Mickey Bradley’s excellent band memoir, Teenage Kicks: My Life as an Undertone (with a review here). Has Ciaran read the book yet? There are a nice couple of mentions of you. Shall I tell you what Mickey’s written? Then you can tell me if it’s right. I’m guessing that, like Damian came in for older brother Vinny in The Undertones, Linus stepped in for big brother Eugene in The Corner Boys. Is that right? Was that how your band got the invite? Except your Everlasting Yeah and TPE compatriate Damian, I believe. But carry on. “Billy left when that first single came out, but before it was played by John Peel. In the meantime they advertised in our local newspaper for a drummer. They didn’t name themselves. They just said, ‘Derry punk band seeks drummer’. And apparently I was the only applicant! “I was 14 or 15 and went for – in adverted commas – ‘an interview’ with John up in the O’Neill house. It was actually Linus who told me, ‘You’ve got the job’, which was brilliant! But in the meantime Peel had picked up on Teenage Kicks and Billy sensibly rejoined! I got to know them through that though. Derry’s a small place, and there weren’t a lot of people at that time going to see The Undertones. I’m not even sure if I knew who the band were. I’d been drumming about a year and was desperate to be in a band. ‘Derry punk band’? I thought, ‘That’s up my street!’ At the time The Undertones were reviled in Derry, because most of the population didn’t like punk music. But it got me in contact with them, and I played the Orchard Gallery with them again in 1980 then went on their European tour. There’s footage of Ciaran with The Undertones, a televised performance in Paris recorded for Chorus at Theatre Le Palace in 1980, released on Salvo’s 2013 CD/DVD package An Introduction To. Not as if you see much of him. Was there ever a feeling that Billy might not come back at that stage? A bit of a rush-goalie? I think Mickey refers to you as the ‘hero of the hour’. “Oh, that’s good. I look forward to reading it even more now! I’ll always remember that first time more than any other. They must have been apprehensive as well, having more or less asked me out of the crowd to play. It could’ve gone either way, I guess. You weren’t far off Damian’s age. 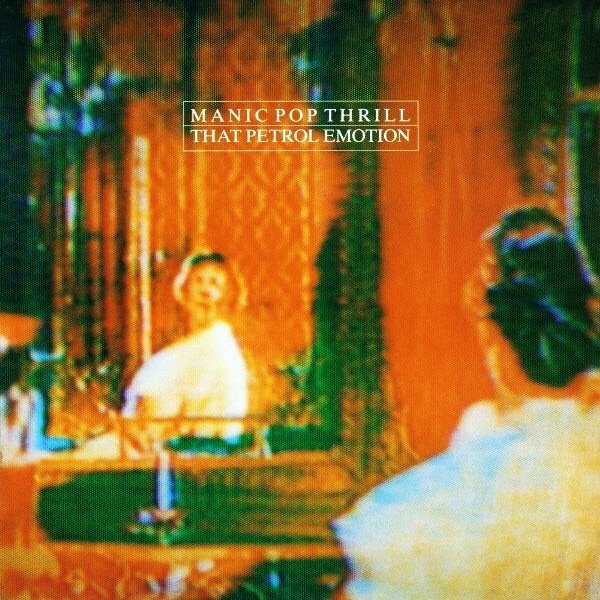 Fast forward a bit and back to the Petrols, and this month marks the 30th anniversary of the recording of Manic Pop Thrill. I know I was excited when I first heard the album, knowing most of the songs live. 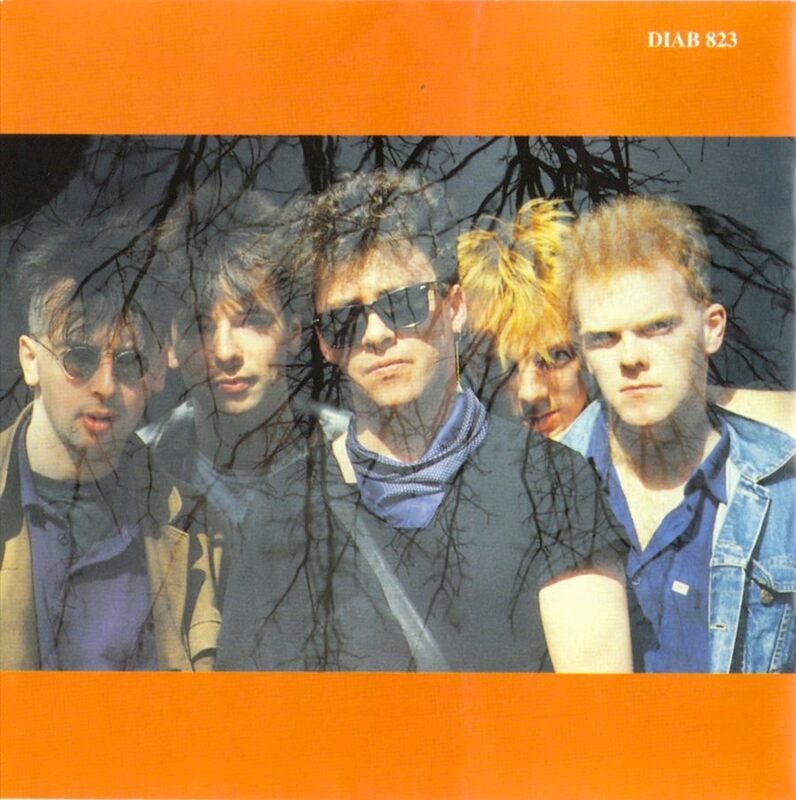 In fact, on St Valentine’s Night, 1986, having snapped up their first singles, Keen and V2, and devoured two Peel sessions, I was at Hammersmith Clarendon for their last date before they headed to South Wales to record that debut. But what did Ciaran think of the finished record when it came out? I had that thrill of hearing songs I knew so well on record, not far off the way how I imagined them. So there was a sense of ownership for me, let alone you. “Yeah, it was so exciting, and it was the first time we’d worked with a producer, Hugh Jones, and he got it completely. We had a tight group of friends around us who came to all the gigs, had their own opinions and often told us them … in quite a forthright manner. And when we brought the record back to our flat they were all so excited by it. It was such fun to make. Everything about making Manic Pop Thrill was a pleasure. You will have been well aware of the history of Rockfield Studios and all those who recorded there before you, not least Echo and the Bunnymen and The Teardrop Explodes. Do you think it helped that two band members – the O’Neill brothers – had already been there, done it, and got the matching jumpers? Did that work both ways though? Were you a little scared of bringing songs in? One song by Ciaran did make it on to the first album, the brilliant Tightlipped. Don’t take this the wrong way, but while I love that track (the first TPE song I learned on my bass) the lyrics were a little, erm … wordy. Take for example, ‘Purposely the seeds of doubt are being shown by a faceless world, perpetrating verbiage gullible minds accept’. And this on an LP recorded in the week Spitting Image’s The Chicken Song ruled the roost, and the UK top-10 included The Matchroom Mob’s Snooker Loopy, Falco’s Rock Me Amadeus and Level 42’s Lessons in Love. Don’t get me wrong. I probably had those lines proudly scrawled on my A-level history and sociology coursework folders. It was poetic … but a tad po-faced. What a great debut album though (expert a retro review on this here blog very soon), including a few early examples of those trademark Sympathy for the Devil type backing vocals and harmonies – ‘woo–woos’, for want of a better description. “Yes, I can’t get enough of them! That runs right through from Fleshprint, the first song on the first album to Taking that Damn Train Again on Anima Rising. I think there are going to be some on the next record as well. I don’t know what it is, but it pushes all our buttons … and it works. You can chart a progression from a fella who I’m guessing was behind the decision – for better or worse – to cover The Miracles’ Save Me on The Undertones’ final album. Blindspot carries harder subject matter but still has a Smokey Robinson vibe, something I hadn’t really thought about before. 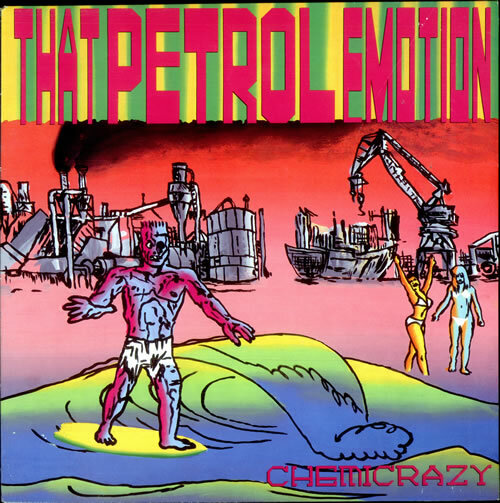 A discussion followed regarding a mutual love of ‘60s and ‘70s soul and how – in my case – I really only became alive to those genres in the mid-80s, the period I discovered the Petrols. Talk about The Four Tops followed, after this blog’s interview with Duke Fakir, prompting Ciaran to profess his love for the single, Bernadette. Briefly on to the second album, 1987’s Babble, and while I’m in danger of another ‘don’t get me wrong, but …’ there are plenty of great songs there, but it has the feel of a ‘difficult third album’, albeit an LP too soon. Please discuss. There are some corkers though, including a couple of Ciaran’s, not least album closer Creeping to the Cross. You mentioned a love of Stump, and there are a few ‘wig-out’ moments there, like your song, Split. By then you’d ditched the ‘perpetrating verbiage’ though. “Yeah! We ditched the verbiage! I tell you what, though, John O’Neill, writing songs a lot longer than me, managed to get the word ‘vicissitudes’ on one of the b-sides, so outdid me! Do you know what, though, the older you get the more you think, keep it simple”. I mentioned to John during our 1988 interview how his lyrics often involved talk of factories. There were signs of a new dance direction by then, as heard on Here It is … Take It and Groove Check. Before that album you wrote the wondrous Genius Move, then on the album gave us the brooding The Price of My Soul and – among several co-writes – the mighty Under the Sky with Raymond, something of a tribute to Can. “I guess we were listening to all this stuff in the van, and that comes through a little. I’d say though that our first homage to Can was a song on one of the early singles, Mine, that Damian wrote with Steve. There was definitely an influence, whether or not it’s discernible. We’d always try and cover those things up to make it sound more like us rather than a rip-off. All the best bands do it, with The Undertones admitting to Steve Lamacq recently how I Can’t Explain kind of became Jump Boys, something I can hear clearly now it’s been mentioned. At this point – 40 minutes in – I gave Ciaran a chance to get away and get his tea. But he seemed to be enjoying himself, despite my invasive questioning. Perhaps I’ve just had time to dwell on how good those last two albums were and how much bigger the band could have been. That’s not so much revising history as disappointment that it never really happened for you commercially. There’s also been a realisation that Ciaran was something of a driving force in part two of the story (from ’88 onwards). 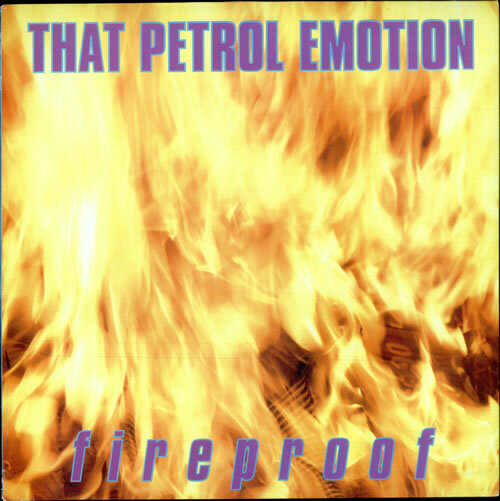 By the time of the fifth album, 1993’s Fireproof, all your songs seemed to be at the top end of the record. By the time the TPE story came to an end, Ciaran was long since settled in South London, with two young children. Was there any money left in the band pot? I gather that you worked together in a dole office with Raymond for a short spell. Camberwell-based Ciaran’s children are now in their 20s, ‘both massive music fans’, ‘brainwashed on countless car journeys’. Neither have followed his lead into the murky world of the rock band, although his son’s ‘a great guitar player who’s really got into electronica’. Has Ciaran ever used his English literature degree outside of music? I could, particularly as we lived in the same village a few years. I’ll always stand up for Phil. Despite the media hype to the contrary, he was a lovely fella as I recall. Besides, he never sent me a fax terminating our friendship. 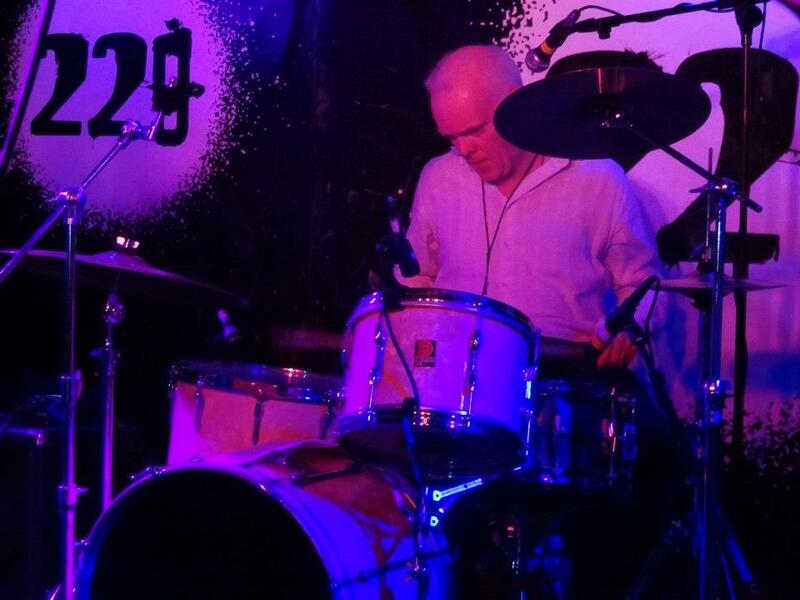 Anyway, seeing The Everlasting Yeah at The Lexington in Islington earlier this year, it was easy to see what a key part Ciaran plays in the band’s dynamic. Doe that go right back to his Derry band roots, or has that come with age and a current project where the lack of an obvious front-man has given all four band members the chance to shine? Is it something in the Irish background and psyche? Or is it just a cliché that everyone plays music down the pub and has a sing-song? It’s not seen as an English quality (although Paul McCartney and Ray Davies might argue with that assumption). Were you brought up with music around you? After the Petrols split, I gather you were playing with a jazz band around London. I get the impression from past conversations there are lots of Ciaran McLaughlin songs waiting to be released. “I know the good ones that stood my annual cull! When you first write a song you think it’s great, then later realise it’s not. But there are ones that stand up to the test of time, and I know Raymond has some. It’s just that they don’t fit with what we do. I write a lot of acoustic songs, listening to singer-songwriters like Joni Mitchell. Concentrating on The Everlasting Yeah, I’ll steer clear of the superlatives – it’s all out there already, not least on this website – but your songwriting has proved inspirational. By way of example, tell me how Everything is Beautiful came about? “That was a song I wrote in that period, and one we felt fit. If you’ve got a catalogue of songs, you can always dip in, and it was Raymond who suggested that. It’s the same with some of his older songs. But I’m a big believer in the bulk of your material being current and the idea that each time has it own energy. That was the only slow song you played at The Lexington. Let’s face it, you’re not as young as you were, all four of you. But somehow you all seem to have that energy. As Bob Dylan put it, ‘I was so much older then, I’m younger than that now’. I can see that, despite asking all these questions about your musical past! With that in mind, there were new songs road-tested at The Lexington. Will it be a similar set at Putney’s Half Moon? It must be hard fitting this around the day-jobs, in Ciaran’s case audio description work for the visually-impaired. What if someone came forward with a wad of cash to pay for studio time and so on? Also in contrast to the old days is the political side. The band clearly remain passionate about certain issues, but the political landscape has changed and the new songs seem more person-political than hinting at the kind of polemic and soundbites the music press liked to stoke up in the past (arguably to the detriment of the music). There were definitely elements of lazy journalism too, putting labels on you that ultimately stuck. From the distant past to the happening present and the future – what happens in the long run? Will there be a solo album at some stage? “There will definitely be a second Everlasting Yeah album. Me and Raymond have talked about a third as well, maybe an acoustic or at least a lighter record, so we have somewhere to put that … stuff! We’ve got enough songs of that ilk that are really good but are not being utilised – proper songs with verse, chorus and middle bit! We can’t plan that far ahead though. We’ve got to get the second album out first! It’s just something we talk about in a ‘wouldn’t it be great’ kind of way! Early Days: That Petrol Emotion – John & Damian O’Neill, Raymond Gorman, Steve Mack, Ciaran McLaughlin. I feel duty-bound to ask what happens if a fifth person comes in (no names, no pack drill). The four-piece model works so well – would you ever consider changing that dynamic? “I would never say never, even if it’s just to get another instrumentalist to expand the sound – as long as it’s interesting. I always feel it’s really dodgy when you get bands that all of a sudden get really big then add members. I remember REM did that with an extra guitarist. It wasn’t any better – it was the beginning of the end. Good answer, and without even mentioning Steve Mack … until now. We could always re-commission Concorde. 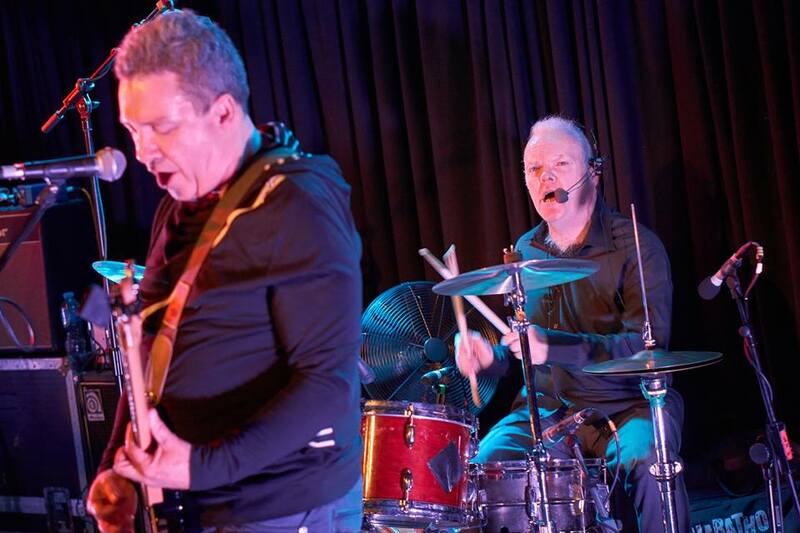 You could play a gig in London then fly over for another in Seattle the same day – in tribute to fellow singing-drummer Phil Collins, recreating Live Aid at Wembley and Philadelphia in ‘85, that same summer I first saw the Petrols. You heard it first. But until that’s confirmed, I’ll settle for a second album and some new dates for The Everlasting Yeah, starting next Thursday, May 12th at the Half Moon, Putney (with a link for tickets here). For a selection of past writewyattuk interviews, features and reviews with The Everlasting Yeah, That Petrol Emotion and The Undertones, use the search button at the top of this page. And for the latest from The Everlasting Yeah, try their website, Facebook and Twitter links. This entry was posted in Books Films, TV & Radio, Music and tagged Anima Rising, Billy Doherty, Brendan Kelly, Buzz Club, Ciaran McLaughlin, Damian O'Neill, Derry, Jo Bartlett, John O'Neill, Manic Pop Thrill, Mickey Bradley, Raymond Gorman, Steve Mack, That Petrol Emotion, The Everlasting Yeah, The Mighty Lemon Drops, The Undertones. Bookmark the permalink. Agreed, Anthony … Ciaran’s definitely a major talent. Thanks for the feedback.